Combine all of the BBQ sauce ingredients and blend together. Pour the mixture into a saucepan and heat through. Heat some oil in a frying pan over medium/high heat and add the tempeh. When the tempeh is to your preferred texture (this is about 5 minutes on each side for me) add a couple tablespoons of BBQ sauce to the pan to coat the tempeh. Chop all the veggies and prepare your avocado mixture. Give each veggie a designated spot in your bowl. Or you can toss them all together if you prefer. Spoon a small amount of rice and add some cilantro on top of the salad. 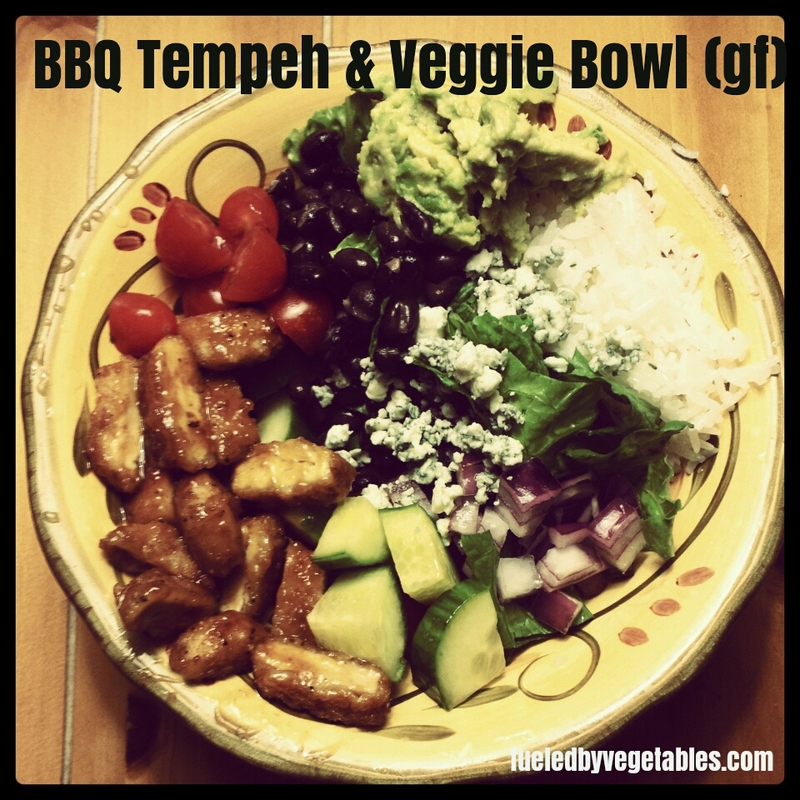 Add the hot and tangy tempeh to the salad with a little sprinkling of bleu cheese and you’re good to go! In a large bowl combine the olive oil, garlic and hot sauce. Add the tofu and toss well. Cover and place in the fridge while you prepare the rest of the meal. Make the rice. Add the water to a medium size pot. Bring to a low boil and then add the rice. Stir to combine and then place the lid on the pot and turn the heat down to the lowest setting possible. Allow the rice to cook ten minutes on low and then turn the heat off completely and let the rice sit on the stove, covered for another 20 minutes. After 20 minutes remove the lid and fluff the rice with a fork. Note that rice can cook differently for everyone, this is just what works for me. Add the bell peppers to a gallon size ziplock bag. Add 1 tablespoon of olive oil and a pinch of salt and pepper. Seal the bag and shake well so the veggies are coated with olive oil. Remove the tofu from the fridge and skewer it. Grill the tofu for 3-4 minutes per side, gently flipping 2-3 times until cooked through and has light char marks. While the tofu is grilling grill the bell peppers for about 5 minutes flipping once or twice during cooking. Remove everything from the grill and let cool 5 minutes. Once cool slice the red peppers into strips. To assemble the bowls, divide the rice evenly. 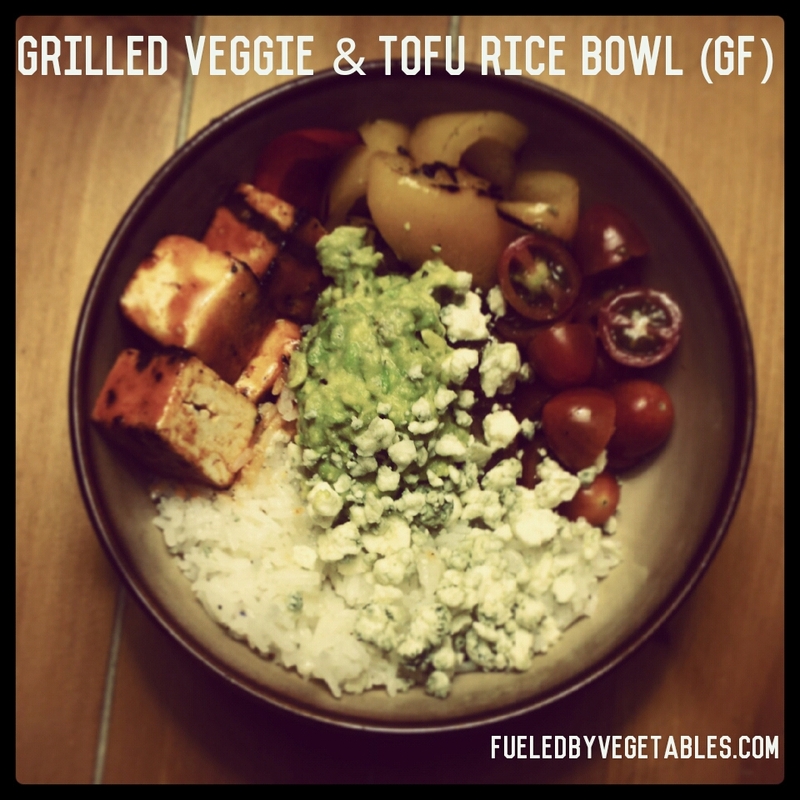 Top each bowl of rice with equal amounts of tofu and grilled peppers. Add a large dollop of the avocados and then add the fresh tomatoes. Sprinkle with blue cheese if desired. Serve warm. 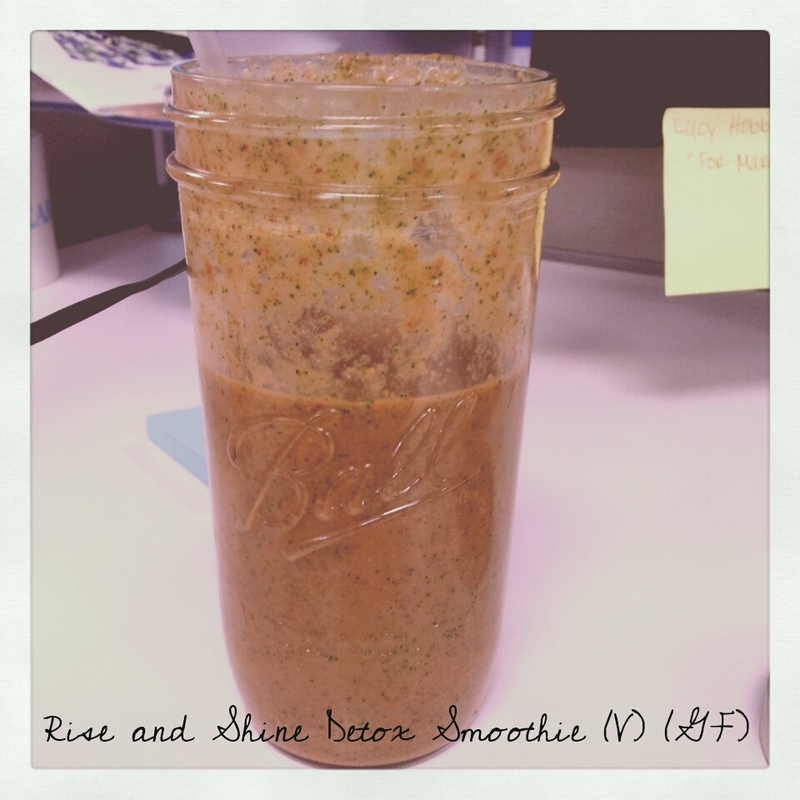 I’m not going to lie to you, this smoothie is absolutely hideous, yet oh-so-delicious. It will also give you that energy boost you need sans coffee! 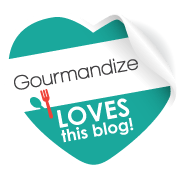 I am doing a detox with Nick this week – so I plan on adding more smoothie recipes to the collection. Enjoy! !